A list of “Your Momma” jokes as told by me. Your momma’s so fat people often complain of her enormous girth on airplanes. Your momma’s so fat she has trouble reaching her toes, which is actually common enough for people of moderate obesity and pregnant women. Your momma’s so fat that her doctor is worried for her health. Your momma’s so ugly that people do not find her attractive and, really, it’s only due to alcohol that you’re here at all. Your momma’s so lazy that her work regularly goes unfinished. Your momma’s so fat she suffers from congestive heart disease. Your momma’s so mean that people do not like to be around her very much and few will call on her birthday. Your momma’s so cruel that she’s been put on trial for neglect. Your momma’s so peaceful that people often compare her to The Buddha. Your momma’s so stupid that she has trouble doing the rudimentary math that her job at the grocery store requires. Your momma’s so smelly that people politely try to recommend that she shower more often. Your momma’s so stupid that she made a mistake on her taxes and was audited by the IRS. Your momma’s so ugly that she has terrible self-esteem issues. Your momma’s so fat that she can no longer get out of bed, instead relying on you to bring her food and bathe her. Your momma’s so old that you had her placed in a home where she could be cared for properly. Your momma’s so old that she remembers when her father returned from World War II. Your momma’s so old that she regrets squandering her youth and is very bitter because of it. Your momma’s so fat that when she walks down the street young children will point and then be hushed by their mothers so your momma doesn’t get offended. 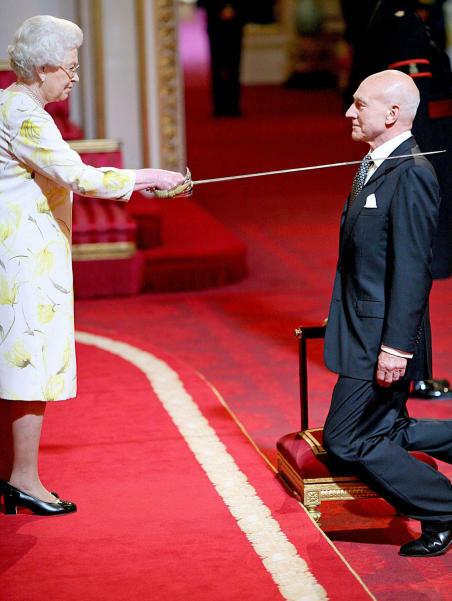 …Sir Jean Luc Picard, of the USS Enterprise.